Yes! Finally some cover art scans! I like the effects of the moon and stars! I like action shots of Sakura as a wee lass...it kind of foreshadows how monstrously strong she becomes. 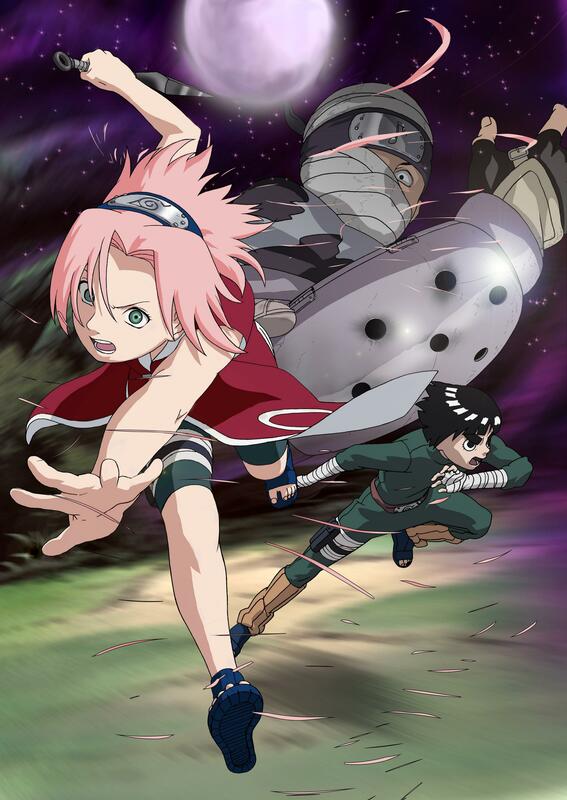 Sakura and Lee, go team! Oh, I love Sakura-chan! This is one of my favourite ep! Thanks for sharing! Bruceeeee Leeeeee !uuuuuhh...no.... Rooooockk Leeeeeeee ! That reminds me... It was a great arc, awesome scan.